Since reading the Four-Season Harvest earlier this year, I’ve been motivated to try my hand at growing vegetables through the winter. In northeast Ohio, that means mostly hardy greens, and “growing” really means “not killing” – there’s not any growth taking place because the days are so short, but with some protection from the elements, things can at least survive. So while I’m not at the point where I’m ready for a hoop house, a DIY cold frame seemed like a logical place to start. 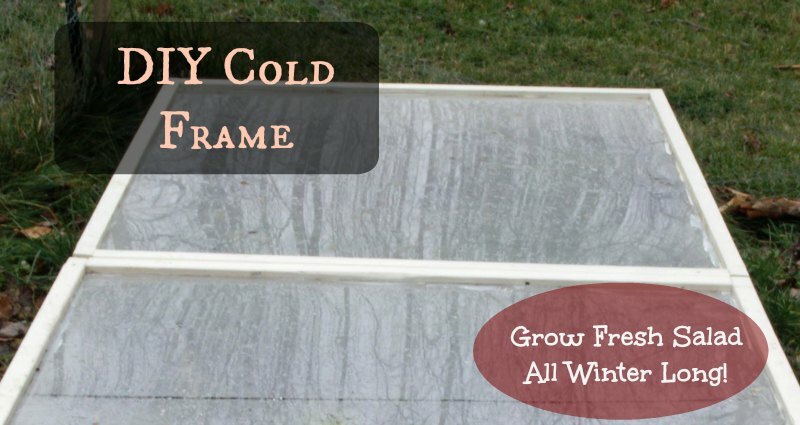 Construction of cold frames isn’t too complicated, and the only special item I needed was a 4′ x 8′ piece of plexiglass. This first one (yep, there will probably be more), I specially designed to fit over my existing 4 x 8 raised beds. For future frames, I’ll try to utilize some old sliding glass doors that my parents have lying around, and make some smaller frames. That’s actually probably the best way to start, if you have the materials, I just didn’t have any spare 4 x 8 windows in the garage. Start with a few eight-foot 2 x 8 boards. Cut one in half, and screw together to make a 4 x 8 rectangle. For the top, I built a pair of 4 x 4 hinged windows for a more easy-to-use system, but it could certainly just be a single 4 x 8. I cut four 2 x 2 x 8′ in half, then cut a 1/8″ groove in the middle of each one using a table saw (a router would probably work too if you have one). This groove allows the plexiglass sheet to slide in. Put the windows together a piece at a time, sliding the glass into the grooves as you go. The plexiglass was 1/8″ thick, and can be ordered from numerous places online – I found a local manufacturer. Attach the windows to the top of the base box. I also put a couple handles on either end of the box for easier transport, and gave everything a couple coats of exterior paint for a bit of weather proofing. Though since S is eight months pregnant and not good for much lifting lately, I ended up carrying the thing outside on my own, without using the handles. This cold frame is not indestructible, but the dogs walked over it (to help with my structural integrity testing, I’m sure), and it should hold up to the weather. I’m excited to eat some fresh salads come February! 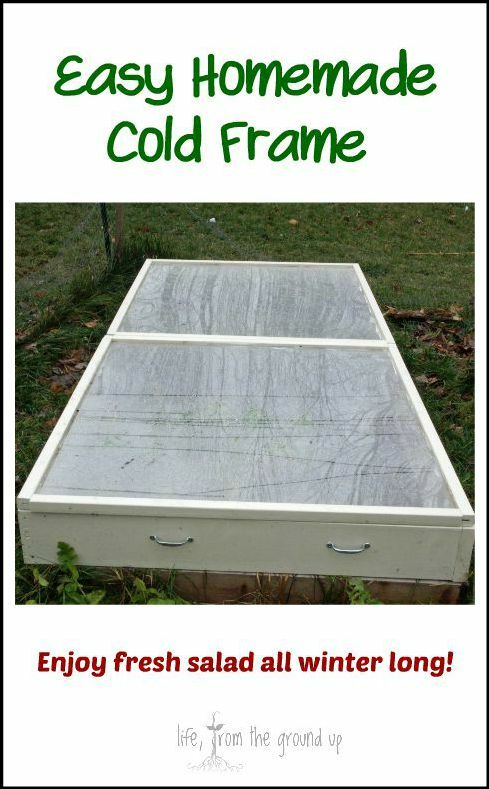 I use our cold frame every winter and we always have fresh greens all winter long. We love it! What a unique idea. Thanks for sharing.